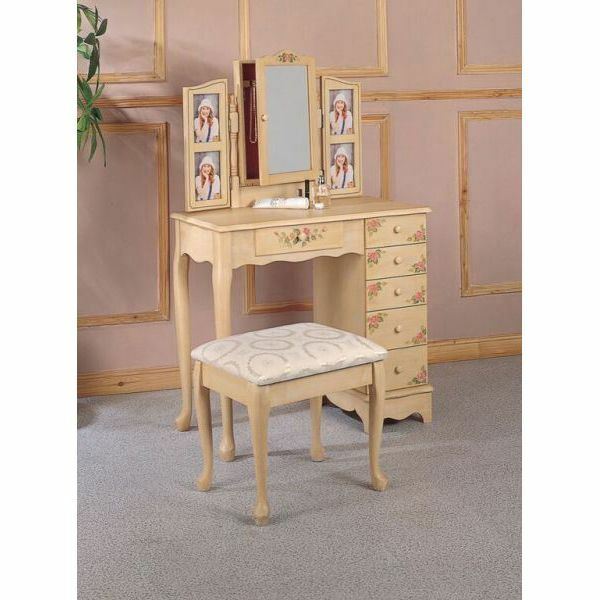 Ivory hand painted 2pc vanity with stool. Mirror with hidden behind cabinet. 4 optional picture frames on either side of mirror.